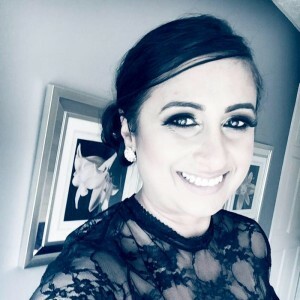 Daksha is the owner of Unique Minds Limited and a Professional Development Coach and Trainer, specialising in the provision of NLP and mBraining Training and Coaching. Daksha is a Master Practitioner and Trainer of NLP, a Licensed mBit Coach and Trainer and a Licensed HeartMath® Trainer. She is also a Practitioner of the Myers Briggs Type Indicator (MBTI) Personality Profiling Tool. Prior to setting up Unique Minds Ltd, Daksha worked for British Gas as part of their Senior Leadership Team and became an experienced and motivated Leader, gaining 17 years corporate experience. Daksha recognises that in a competitive world, organisations need to look for new approaches to staff development to ensure successful growth and now effectively combines her business acumen with her NLP and mBIT skills to produce and offer a portfolio of high impact professional development training programmes. Many of the courses developed by Daksha are tailor made to specifically meet the needs of her clients, and have been successfully received in both the Private and Public Sectors. Daksha’s creative and flexible approach, coupled with her energy and drive are a reflection of the way that Uniqueminds operates. Daksha is passionate about the work she does and this is very evident in the results she achieves. Owner of Unique Minds Ltd. A Personal Development Coach and Trainer specialising in the provision of NLP Coaching and Training to Business and Healthcare Professionals. Using her 17 years experience working for Centrica, as part of their Senior Leadership Team, along with her Personal Development skills, Daksha has the ability to transfer her knowledge and skills into organisations that are looking for a new approach to staff development and organisational change and growth. Since setting up her business (Unique Minds Ltd) in 2008, Daksha has amassed a portfolio of clients, from both the Public and Private Sectors, many of which continually return for further work. Daksha is passionate about the work that she does and this is evident in the results that she gets. Daksha is always up for a challenge and open to opportunities to share her skills and make a difference. “Through NLP and mBraining I have made significant, positive changes to my own personal and professional life and I have, and still continue to, experience the benefits of the techniques that these methodologies have to offer. My first hand experience of the effectiveness of NLP and mBraining drive me to share this knowledge with others so that they too can benefit. I believe that everybody has the ability to change, and those that want to, will find their way. My role is to help people work out where they want to go, what they want to achieve, what is stopping them and to support them on their journeys. I look forward to visiting the many paths that are yet to be travelled and am forever grateful for the opportunity to accompany those courageous travellers who dare to dream”.